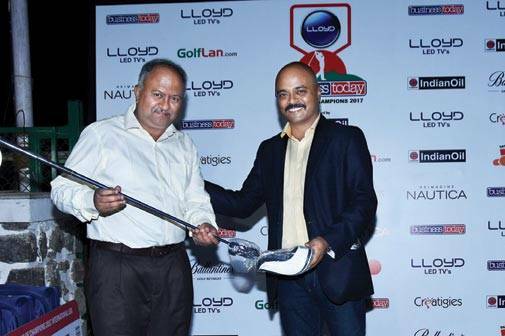 Pune, November 5, 2016 - On a bright and sunny afternoon 84 golfers teed off at the Poona Golf Course for the LLOYD Business Today Pro-Am of Champions 2017. The back 9 holes of the course which were under renovation opened specially for the tournament. 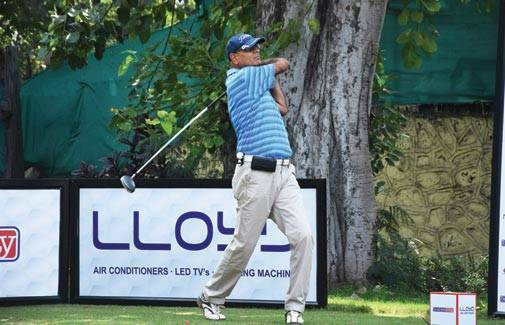 The Pune course, one of the oldest courses in the country has been around since 1920. Strategically positioned in a prime part of the city it is spread over 94 acres of lush green vegetation. The course is well maintained with immaculate fairways and greens which are reputed to be the fastest in the country with interesting undulations and slopes. There have been instances during tournaments where even the best of professional golfers have ended up with 3 & 4 putts - and, yes, the dreaded 5 putt. Playing on this course calls for accuracy, strategy and the ability to play tricky greens. While water is in play and the 38 bunkers are a part of the design - the real test is to manage to keep out of the trees that line most of the fairways and holes. The golf course is one of the busiest courses in the Western part of India. Played on the Stableford format with Double Peoria handicap system, the afternoon witnessed some great golfing action with players vying for both individual as well as team prizes. 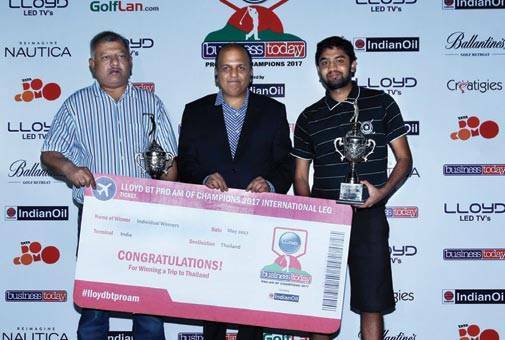 The winning team comprising of Atanu Sarkar (Tech Mahindra), Ravi Budhwar (Gold Coast Consultancy), Mahesh Shahane (Capgemini) and Ramesh Kumar with a combined score of 103 points, were crowned as the "Pune Patriots" and also earned themselves a place in the Pro-Am National finals to be held in Delhi in February 2017. The team comprising of Aditya Rajiv Pusalkar (RA India Exporters), Raghav Aggarwal (Chamundi Steels), Wilson J.S. (TATA Motors) & Abhijit Gangoli (Demandshore Solutions) finished Runners Up with 100 points. 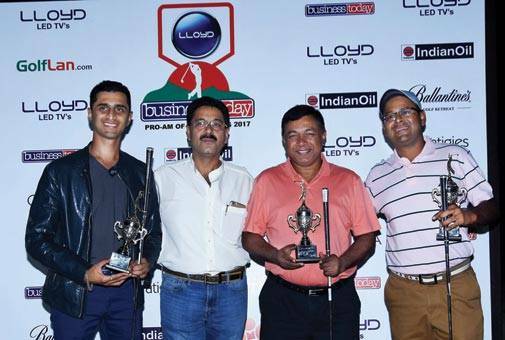 In the Individual prizes, Sanjay Verma (TATA Motors) was the winner with 37 points in the 15-24 handicap category and Ihit Joseph won with 38 points in the 0- 14 handicap category. Matthew Pears, JCB; Arindam Ghosh, Reliance; Jinendra Munot, ZF Steering Gear; Ashish Verma, Mphasis; Rajendrasingh Nageshkar, Thyssenkrupp; Shailendra Nath Agarwal, Veena Industries Ltd; Manish Motwani, Kinetic Hyundai Elevator & Movement Technologies; Shubhabrata Banerjee, Nihilent Technologies; Prakash Tolani, Siemens; Sonni Thomas, Multihue Chemicals; Balrajsinh A. Parmar, Suzlon, Partha Iyengar, Gartner; Rajiv Sahay, Mecc Alte India; Krishnani Hemant, Sonex and Nikhil Bhargava; Stypack Polyfoams.